The new generation of Red Mist is here. Boditronics powerful pre-workout, Red Mist V4 introduces a host of new B Vitamins to the formulation for optimal delivery of energy and muscle tissue protection. Furthermore, Boditronics have optimised the Red Mist formula to accurately deliver their most advanced and powerful pre-workout to date. 250mg of Caffeine provides the ‘backbone’ of Red Mist without going overboard. 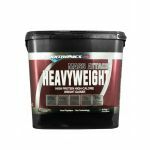 Instead a number of amino acid and protein precursors (like L-Tyrosine, Arginine and Citrulline) function synergistically to deliver extreme power and pump. Sustained Energy Boost - Each 12.5g serving of Red Mist V4 delivers 250mg of caffeine and a host important B vitamins for a massive, consistent drive of energy, focus and power. Increased Pump - Red Mist features Arginine and Citrulline, an ingredient that offers a host of benefits, most interesting it opens up your blood vessels increasing oxygen transfer to your muscles. The result? Dramatic increases in pump and power. Maximum Results - Creatine loads your muscles with reserve power stores to achieving maximum results in high intensity exercise allowing to put those few brutal last reps.
Explosive Power - Creatine specifically supports your muscles for short, but high power workouts enabling you to increase your rep count or in increase weight. The result: bigger gains. Focus & Fatigue Resistance - L-Tyrosine and Taurine are powerful building blocks of a number of important neurotransmitters. Red Mist delivers improved focus and helps you shrug of fatigue for more demanding workouts. Reduces Lactic Acid Buildup - Amino Acid Beta-Alanine is a precursor to carnosine, an important muscular dipeptide molecule that inhibits lactic acid buildup in your muscles. By loading your muscles with Beta-alanine you increase power output and endurance, with some tests showing an increase of upto 12%. Who is Boditronics Red Mist V4 For? Boditronics newest iteration of the Red Mist formula takes the explosive power of Red Mist V2 and has honed it down to become one of the most potent pre-workouts on the market. If you’re looking for a huge boost of energy supported by important amino acids and the ultimaine in muscle fuel, Red Mist V4 is for you. When to take Boditronics Red Mist V4? Mix 12.5g (one heaped scoop) in 250ml of water. Shake well and consume immediately. Do not exceed the stated dose. Boditronics as a brand have been one of our top brands since Echo opened - their formulations are second to none and all products are manufactured in an Informed Sport Registered Site - meaning that their manufacturing factory is regularly inspected to ensure there is no risk of contamination with banned substances. Boditronics is also a brand which our customers come back to time and time again and we are happy to recommend the Boditronics range. L-Arginine AKG 2:1, L-Citruline Malate, Beta Alanine, L-Taurine, L-Tyrosine, Flavouring, Creatine HCl, D-Glucuronolactone, Caffeine, Sodium Bicarbonate, Sweetener (Sucralose), Acidity regulator (Citric Acid), Pine Bark Extract 95% (Pycnogenol), Natural colour (Spirulina extract), Vitamin B3 (Niacin), Vitamin B12 (Cyanocobalamin), Vitamin B6 (Pyridoxine HCL), Dextrose. L-Arginine AKG 2:1, L-Citruline Malate, Beta Alanine, L-Taurine, L-Tyrosine, Creatine HCl, Flavouring, D-Glucuronolactone, Acidity regulator (Malic Acid), Caffeine, Sodium Bicarbonate, Sweetener (Sucralose), Pine Bark Extract 95% (Pycnogenol), Vitamin B3 (Niacin), Natural colour (Spirulina and Turmeric extract), Dextrose, Vitamin B12 (Cyanocobalamin), Vitamin B6 (Pyridoxine HCL). L-Arginine AKG 2:1, L-Citruline Malate, Beta Alanine, L-Taurine, L-Tyrosine, Creatine HCl, D-Glucuronolactone, Natural colour (Caramel), Flavouring, Dextrose, Caffeine, Sodium Bicarbonate, Sweetener (Sucralose), Acidity regulator (Citric Acid), Pine Bark Extract 95% (Pycnogenol), Vitamin B3 (Niacin), Vitamin B12 (Cyanocobalamin), Vitamin B6 (Pyridoxine HCL). L-Arginine AKG 2:1, L-Citruline Malate, Beta Alanine, L-Taurine, L-Tyrosine, Dextrose, Creatine HCl, D-Glucuronolactone, Flavouring, Caffeine, Sodium Bicarbonate, Natural colour (Beta Carotene), Sweetener (Sucralose), Acidity regulator (Citric Acid), Pine Bark Extract 95% (Pycnogenol), Vitamin B3 (Niacin), Vitamin B12 (Cyanocobalamin), Vitamin B6 (Pyridoxine HCL). Mix one scoop (20g) into 250ml of water in a shaker cup. Take one serving 30-45 minutes before exercise. A second serving may be added for those with high tolerance levels, but always begin with one to assess response. One serving will be enough for the majority of athletes. Boditronics pride themselves on their dedication to the research and development of their supplements to ensure they are some of the best available today. Based in Derby, England, Boditronics have a reputation for substance over style and creating products which are actually fit for purpose. Founded in 2006, Boditronics have assembled a team of some of the biggest and brightest minds in the supplements industry to create a range of products which are built for you. Meaning they are perfect for those new to supplements and those who have been taking them for years. Their no nonsense approach means no ambiguity, just the truth, and with that results. All Boditronics products have three things at their core: quality, flavour and results. Boditronics use the very latest technology to ensure their products contain all three while they only use the finest quality ingredients to ensure no dud products. All of their products come with a Gold Standard Guarantee of quality, purity and taste. 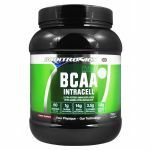 Boditronics produce a wide variety of supplements but their most popular supplement is far and away their Mass Attack Heavyweight and Mass Attack Juggernaut gainers. These gainers are famed for their amazing results to give you the physique you want quicker. Boditronics commitment to give consumers what they need is shown by their extensive range of whey proteins. 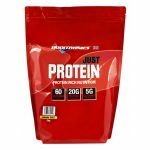 With four different types of whey: Express Whey, Express Whey Anabolic, Diet Express Whey and Iso Whey; there is most definitely and whey protein to suit everyone's needs. We will take every effort to get you goods to you as efficiently and effectively as possible. All orders placed before 3pm will be shipped on the day of ordering subject to payment authorization and item availability. Any items which are out of stock will be shipped as soon as they become available. If this causes a delay in your delivery, you will be notified and your order dispatched as soon as possible. If any items are unavailable, you will be contacted and offered a replacement or refund. Please be aware that the prices above are for areas classed as "UK Mainland" by DPD which does NOT include offshore islands, Scottish highlands or Northern Ireland. Our website has a comprehensive postage system which takes into account the weight of your delivery and the destination address - to get a quote for your order please add the products you'd like to buy to your basket, go to the basket page and fill in the "Estimate Shipping & Tax" section to get the price. This shipping method is available for British Forces Posted Overseas and addresses only. Shipping is as with all other UK mailing but please check to see that the size and weight of your order does not exceed maximums for your BFPO destination number by checking with the BFPO website. Please note that once we have shipped the item and handed over to the BFPO service we have fulfilled our contract and delivery responsibility. All queries and problems with delivery must be taken up by yourself with BFPO and any claims must be handled between yourself and them. If this applies to you, the price you will pay for the goods will automatically be adjusted to remove the VAT element - you MUST choose the correct country on checkout for this to apply. We CANNOT refund the VAT once the order is completed. Request a VAT Reclaim form from us; give us a call or email immediately after ordering. We will complete the relevant parts of this form before sending it to you with your goods. You will then take the form with you and the goods when you leave the UK and you should ask customs to fill in their section of the form at the airport, ferry terminal or channel tunnel when you leave the country. We stock the vast majority of products listed on our website in our Whitley Bay superstore and warehouse and these products are available for same day dispatch & next day delivery. Due to the huge quantity of products we stock, we offer the ability to backorder products which have gone out of stock and less popular products which we don't carry stock of. As always if you aren't sure or want a more accurate estimate just give our team a call or email! You can return any product that is in an UNOPENED, RE-SALEABLE condition within 30 days as long as it is not marked as clearance. Please contact us before doing this so we can confirm this ahead of time - we recommend using a recorded delivery service for any returns as you will be responsible for ensuring it reaches us. We will try and get your return processed as quickly as possible but if you don't send this information it can delay the return. If you have ordered something and it doesn't fit then we can exchange for a more suitable size, stock permitting, but you will have to pay the return postage. Our customers have the right to cancel their orders within 14 days unless their order has been dispatched. After the order has been dispatched, it is the customers responsibility to return the item in a saleable condition and receieve either a full or partial refund. * Reward points can only be rewarded on verified purchases (one review per item) and you will need an account. Referring a friend - get 5000 points for every friend you send our way and spends more than £20 on their first order. Spend more, earn more - Level up and start earning more point per £ spent!